When these symptoms begin to affect your work, health, or quality of life, a Sleep Study can help determine the cause and treatment for your sleep problems. Please view the attachments below and fill out the sleep apnea questionnaire if you think you might suffer from a sleeping disorder. 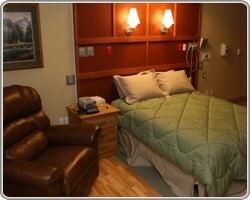 For more information about Sleep Studies, please contact the Sleep Lab at 406-488-2385. Sleep Studies are conducted on a doctor referral basis.